Mumbai is an amazing city where there is always something new to experience. A city that is made up of seven islands, Mumbai offers a beautiful to all those who enter. The real estate market in Mumbai has elevated to a great extent today. While the number of residential development continue to increase, competition between real estate companies has stepped-up to a whole new level. Find the ideal residential space that will be love by every member of your family is not as easy as it may seem, but Lodha Group brought about a drastic change. 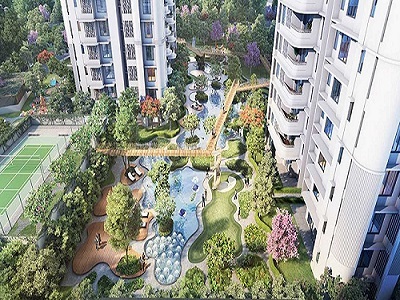 Lodha Belair is one of the latest residential projects in Mumbai by Lodha Group that offers something special for individuals of all age groups. Spread over 5 acres of land, this residential undertaking contains 6 impressive towers designed by the famous, Hafeez Contractor. Offering vibrant variants of 2BHK, 2.5BHK and 3BHK air-conditioned apartments with carpet areas starting at 631 sq. ft. and moving up to an impressive 1289 sq. ft., every residential unit offers maximum space to meet all your needs and necessities. This spectacular residential development offers luxury and comfort that will take your breath away! You will find apartments with interiors designed by Ashiesh Shah, a designer who has designed homes of several Bollywood celebrities. The air-conditioned apartments provide good natural lighting and contain high-end fittings & fixtures, marble flooring in the living, dining and bedrooms, European style sanitary ware, tough doors and large windows, sleek kitchens, multiple safety features and more. This residential development also offers a life of leisure and comfort through its wide range of external amenities. They external amenities include a clubhouse, swimming pool, multiple sports facilities, dedicated tennis court and a play-area for kids, barbeque area, gymnasium, heated indoor pool, party lounge, café, tree-top walk, amphitheatre, Ganesh temple, outdoor seating area with hammocks to relax, landscape garden, swift elevators, grand entrance lobbies and 3-Tier security for an uninterrupted modern-day lifestyle in Mumbai City. Without a doubt, this development has something to offer you and every individual of your family. Situated at Jogeshwari, a popular suburb in Western Mumbai, Lodha Belair Jogeshwari offers easy access to a number of landmarks and provides a life of convenience that is simply outstanding! From reputed schools and colleges, to medical centres, hospitals, malls, shopping centres, retail outlets, convenience stores, banks, ATMs, supermarkets, cafes, cinemas, lounges, bars, clubs, pubs, entertainment zones and more, no place is hard to find when residing at this fabulous residential development. With easy connectivity to prime locations in North & South Mumbai, you can travel without worrying about long-distance journeys. Starting at an exclusive price of Rs.1.64 Cr. and going up to Rs.3.39 Cr., the apartments at this residential development affordable and well-planned to meet every budget. If you are looking for a new home or an investment for that matter, this development is where you should be. Choose from a range of payment plans along with home loan facilities through popular banks, NRI services and more for a convenient buy. You can also avail various saving schemes, discounts and benefits.